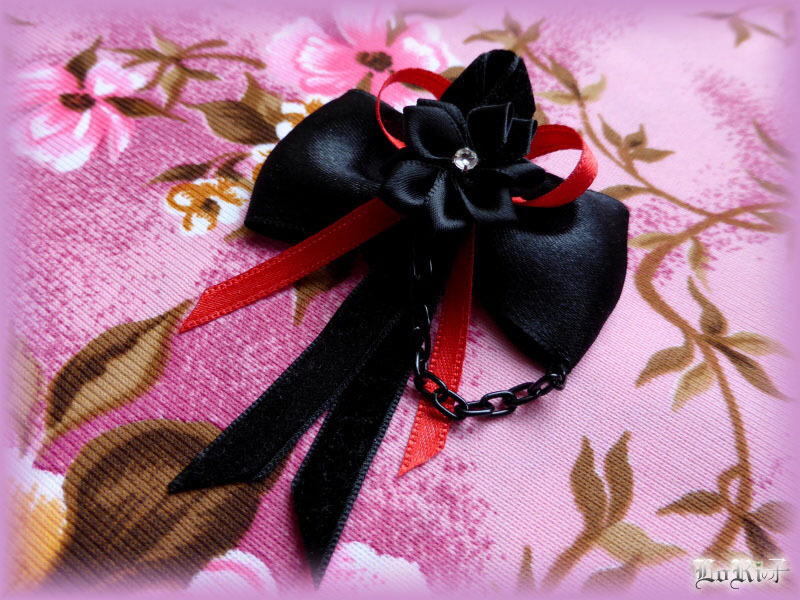 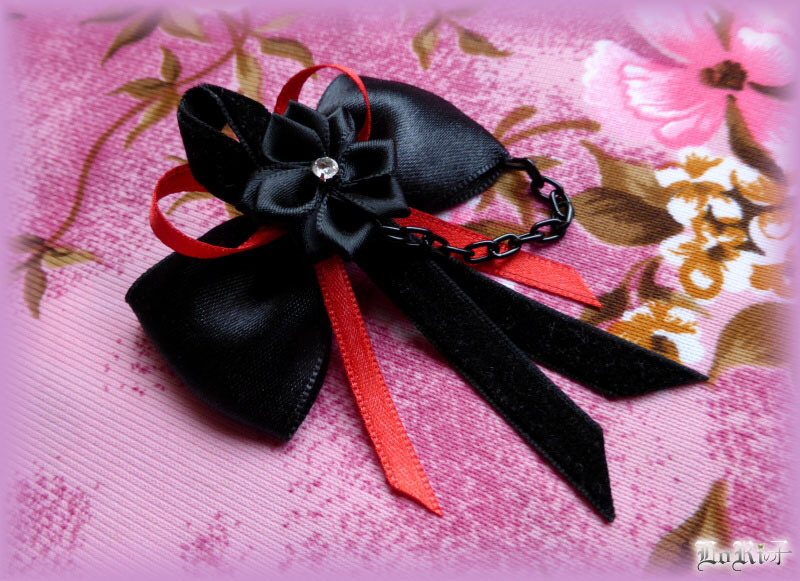 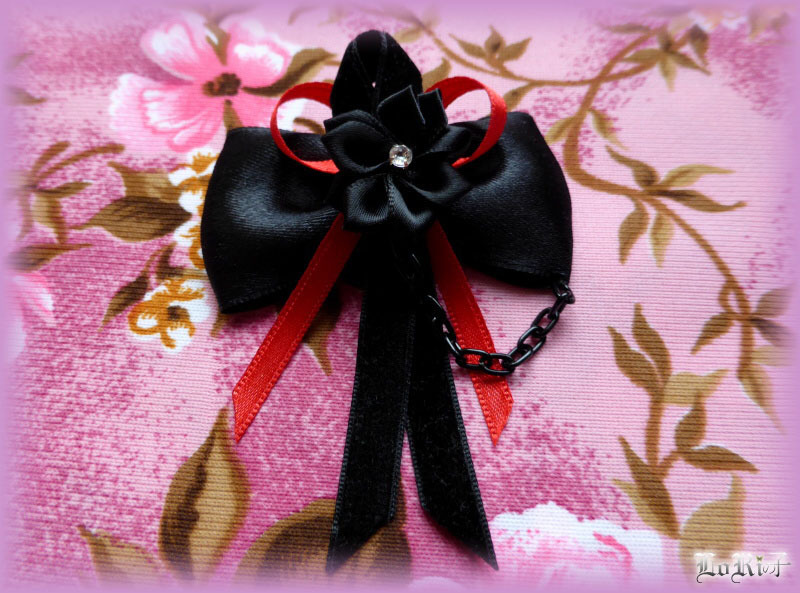 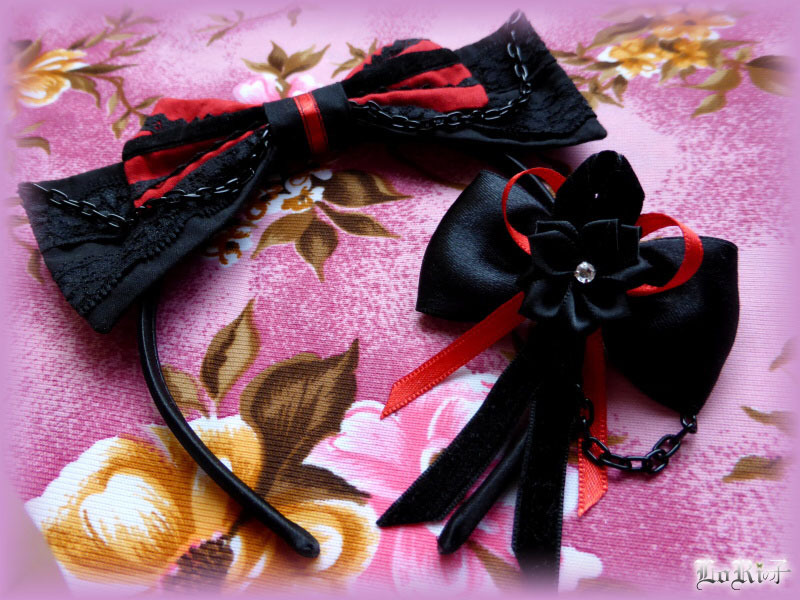 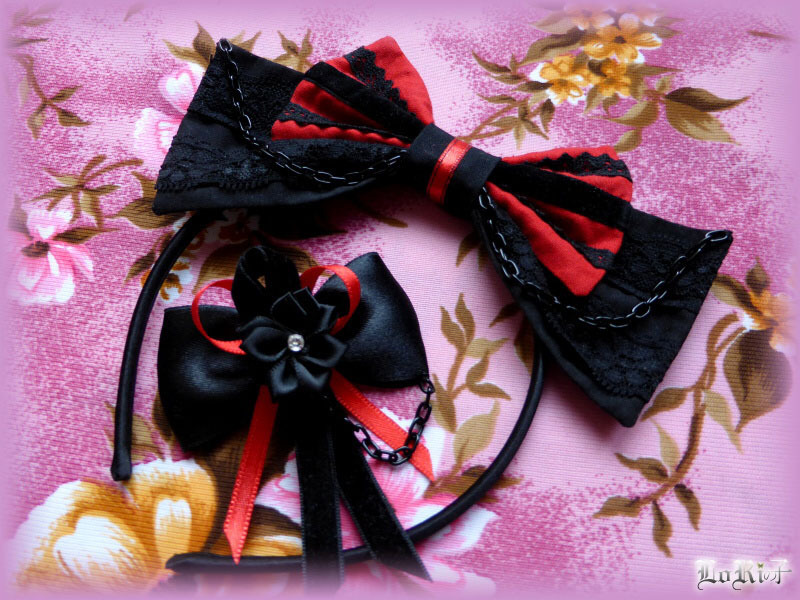 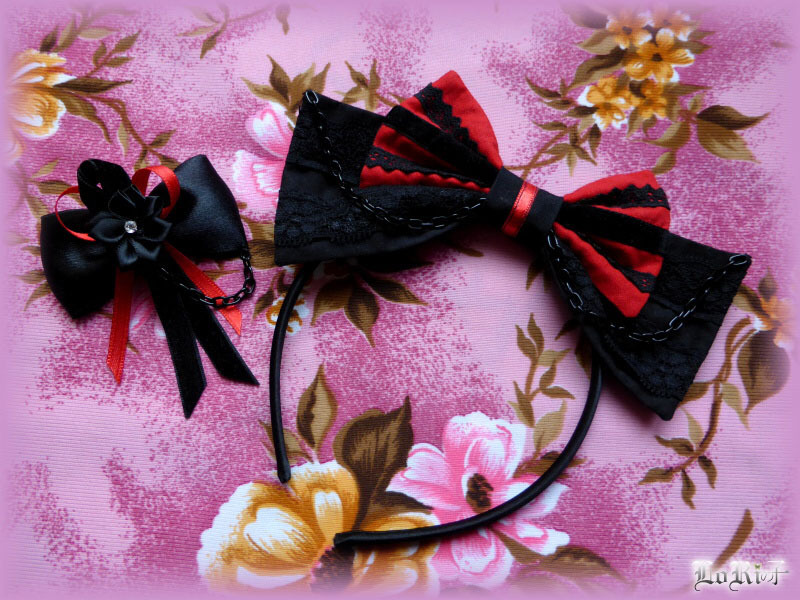 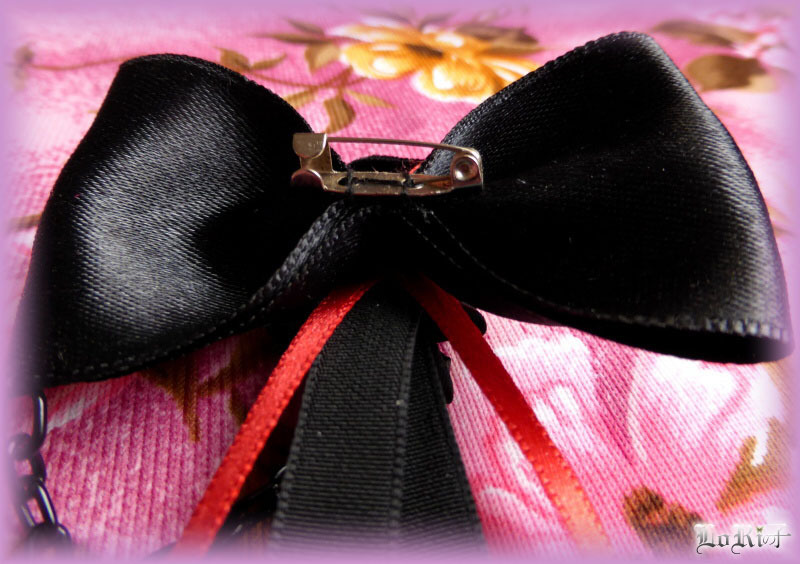 Detachable bow made from wide satin ribbon, decorated with thin red ribbon and another black ribbon from black velvet. 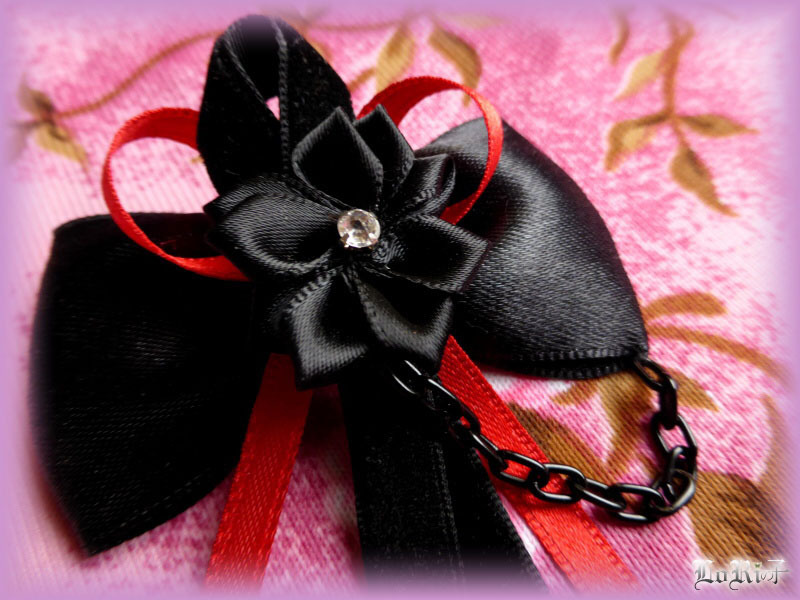 In the middle is attached flower application from satin as well and black metal chain. 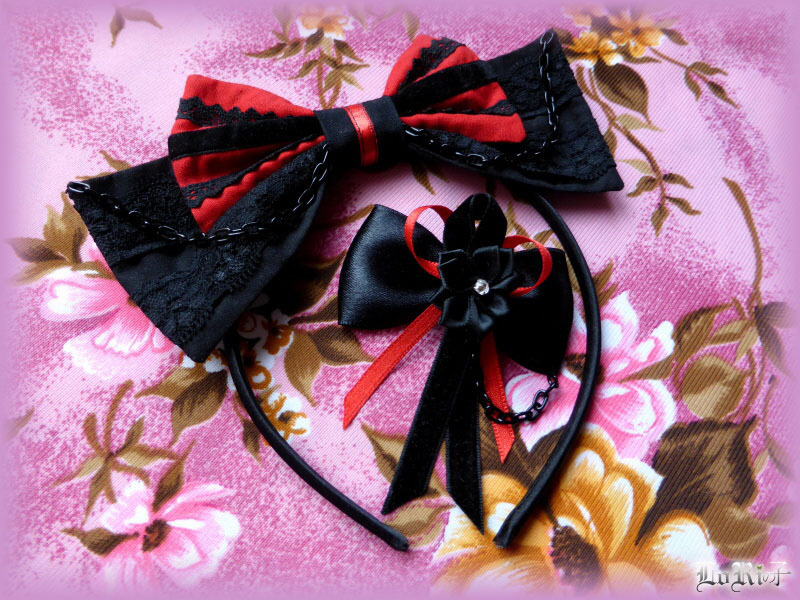 Ideal in combination with Rubeo Black Headband.